This resource provides a form in an Excel format that can be used to carry out the risk assessment of Design and Technology workshops. Electronic copies can be used when updating the risk assessment, saving time by reducing the need to re-enter data or values that have not changed. 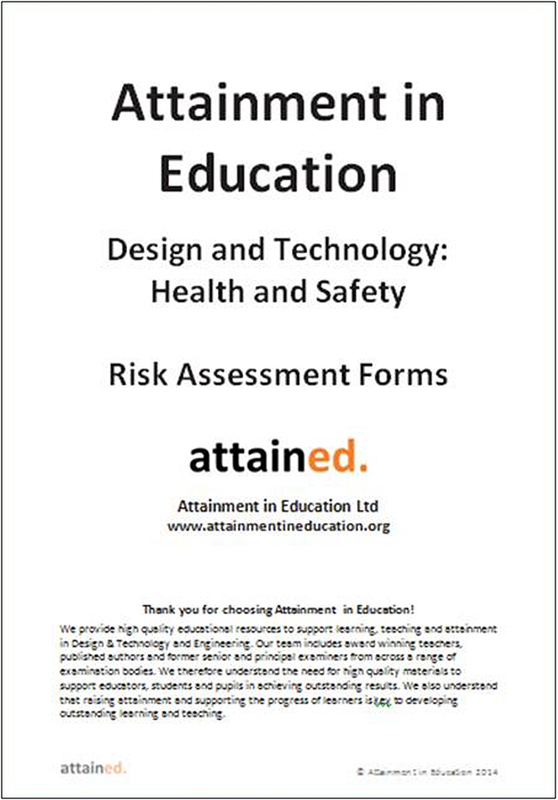 The format used is based on that recommended in the D&T Association publication 'Risk assessment in Secondary Schools and Colleges Design & Technology Teaching Environments'. You are free to print/make as many copies as you like within your school, and/or to upload to your school network/VTLE as long as it is password protected. Please ensure you include an email address with your order. D&T Association prices are inclusive of VAT and Postage and Packing.